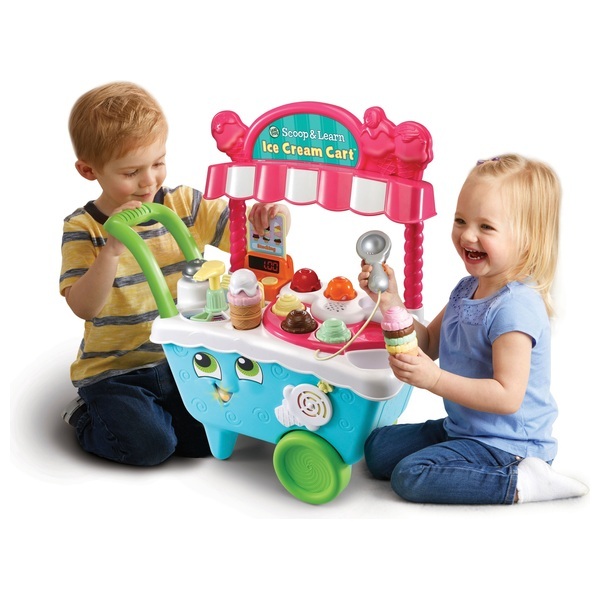 Play and learn with the Leapfrog Scoop and Learn Ice Cream Cart. Meet a cast of six hungry characters by inserting activity cards to explore colours, counting, flavours and numbers and play a creativity and stacking game. Follow the animals’ instructions and test your sequencing, memory and matching skills to build their orders – learn while you scoop! Press the bell when the order is ready and "pay" at the magic till.